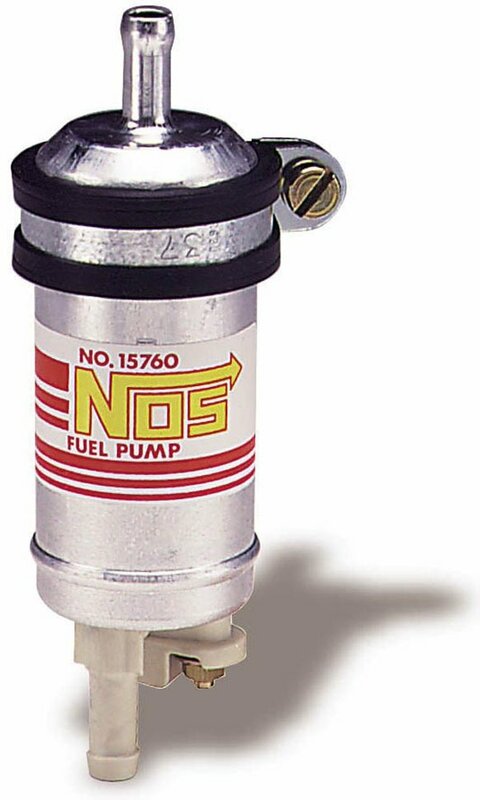 Low Pressure Fuel Pump, Small Displacement - This is the same pump used in our motorcycle and other "Power Sports" kits. It is a high flowing, low pressure pump that will support up to 200 horsepower. It has a 5/16" inlet/outlet, 12 volt/5 amp rated. Flow rate: 18 GPH at 4.0 psi, 5.5 PSI maximum.